I have all but abandoned my tank. Every time I think I am on the right track and add some new frags, they slowly start to die. 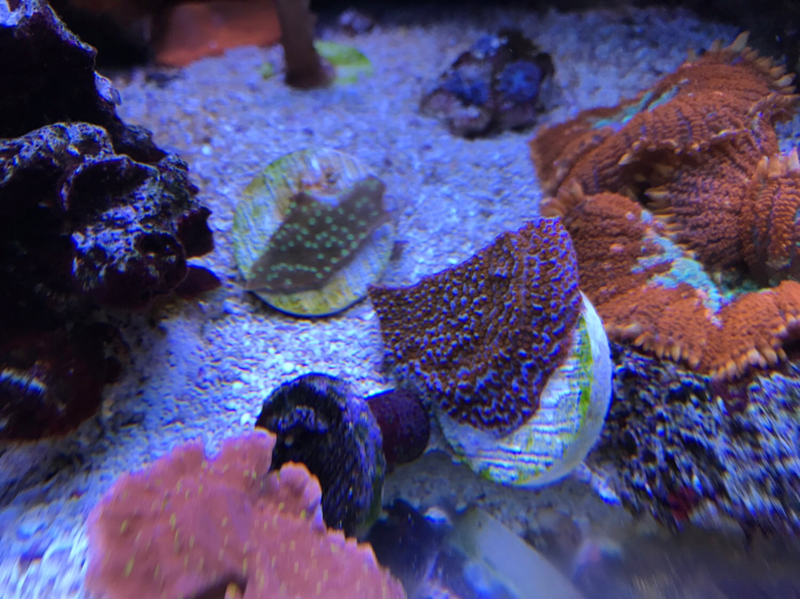 I have lost 90% of my corals over the past couple of years. 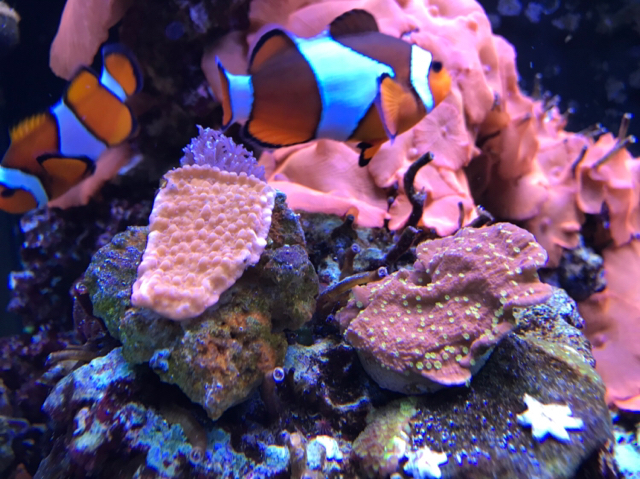 The only corals left (that seem to simply exist) are mushrooms, xenia and some GSP. Super frustrated to say the least. Every time I add some SPS to the tank they look great at first, then within a week the flesh starts looking dry/thin (not STN or bleaching). Eventually they just diminish and die. Not sure it it is related but I have a severe vermetid snail infestation. Any advice is appreciated. System specs are below. Have you ever done an ICP test? Best tool for these situations and not too expensive. Haven’t done an ICP test. Will see if I can get a kit tonight. I would say ICP test, all parameters look great. My guess would be something leaching metals. Take apart and clean all your pumps/equipment and look for rust. Been down that road. All equipment has been checked. Anything that looked rusted was changed out. Picking up an ICP kit from LFS today. Read another thread where symptoms were similar and I believe the cause was bacterial. They fixed it using metroplex. Will wait for ICP results before going that route. Also reading about chloramines. My RODI filters should be fine, but does anyone add a water conditioner to their new salt water for water changes? Using any cleaners/air fresheners in the room? Bleach/windex? Not near the display but the sump is in the basement furnace room. Don’t use any chemicals in there but it is next to the laundry room so bleach is a possibility. Don’t really use air fresheners. IF it were me I would raise Alk to 8-8.5 dkh I would bet your sps arent happy due to your really low Alk. Anytime my alk gets below 7.5 my sps let me know. I would try to keep MG between 1300-1400 and bump your salinity down to 1.024-1.025 on the high end. Lastly vermetid snails aren't a for deal breaker but they are not good for sps either with all their webs that irritate the corals. Dosing vinegar to control nitrates. They are a little high but I really don’t think it’s that. Have had them higher in the past and things were doing fine. Too low and everything dies off. Alk is a little on the low side right now. Typically runs more around 7.5.ml-recalibrated the doser as it was under dosing. I can try to raise it over the next few days and see if that helps. Purchased ICP test kit today. Gonna get it mailed out tomorrow. 10% water change this morning and changed out carbon. 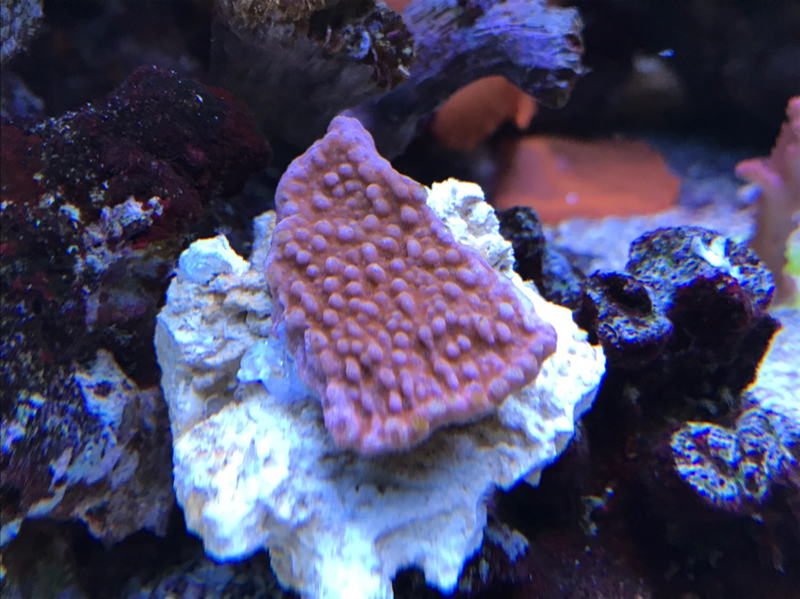 Came home to receding flesh from the edges/tips of my monti frags. Frustrating. Their are only so many things it can be. IMO its gotta be the Alk or the vinegar dosing / nitrates issue. If I were you I would make sure I have good clean RODI water with a good salt. I use Tropic Marin Pro and make sure my RODI filters are running perfect.... Good water @ 1.024-5 and alk at 8.5dkh you really should be good..... I have only had problems when my alk gets low typically under 7.5 or high over 9.5 and or my RODI filters are bad. You should not need to dose Vinegar with a proper skimmer and routine water changes. Everything else you have looks fine IMO besides Veremid snails those are just a huge annoyance. a) A buildup of something to toxic levels in the tank that I wasn't testing for. c) Some type of pathogen attacking the corals. - Began dosing Red Sea Trace Elements (Iodine+, Potassium, Iron+, Bioactive Elements) - I figured that if there was something missing from the tank this might help. - Began dosing Mictobacter7 at the "new setup" dose to help with any potential bacterial imbalance etc. Since then things have been generally trending in a positive direction. 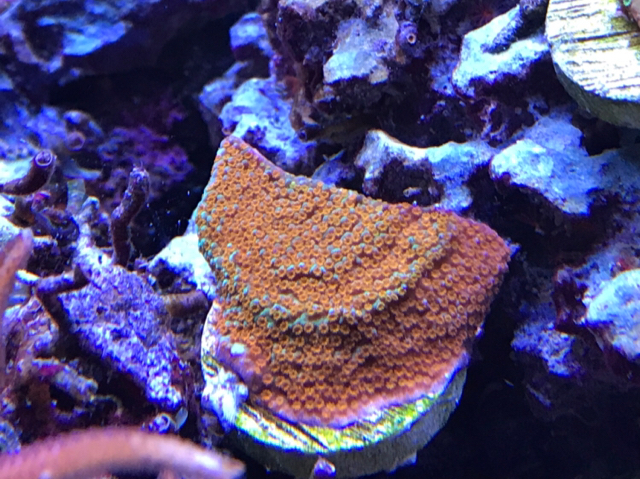 My red dragon acro colour has deepened and is starting to encrust. - No real thinning of flesh. One of the monti frags that were showing tissue loss has almost fully recovered. Two of the other monti frags have shown similar changes - deepening of colour, thickening of the flesh and recovery of some tissue loss. Still trying to figure out what the issue is/was, but at this point I believe it was the Iodine deficiency. When I received the ICP results I dosed Iodine to raise the level to 0.065ppm and potassium to 390ppm. A day after dosing, the affected corals showed visible improvement with some recovery of lost tissue and smooth looking tissue. Looked good for a couple of days. I have read that one of the functions of iodine is for soft tissue health. If so, this might explain the symptoms I am seeing - thinning of tissue. I have dosed more of the Red Sea Iodine+ product and hopefully will see some positive results tomorrow. Has anyone had experience with low Iodine and similar symptoms? Do certain corals consume more iodine than others? Iodine is depleted from the water very fast, and hard to accurately test for. Adding a drop every few days should be enough to take care of any problems related to it if there are any. What are you using to test SG and how are you calibrating it? I have seen issues like that with SG swings or is off. The pest snail problem looks to be all over your rocks am I right? If they are I would find a solution to them because they can cause irritation and slowly kill off corals in their general area if they aren't flourishing. Small tanks with a large population of them will have a hard time growing sps because of all the webs. I think that could be your main issue. Although the low alk and high nutrients could have been irritating corals as well. I would have kept the very small dose of vinegar you were using but that's just me, I doubt that small dose would hurt anything. I'm using a Milwaukee Digital refractometer. Calibrating it with a 0TDS RO/DI water as per the instructions. My ICP results for SG matched those taken using the Milwaukee. Tunze Osmolator for ATO. Now I am using an open 40gal breeder as a sump. I wonder if salinity fluctuates that much because of the large volume that needs to drop before the osmolator kicks in. Going to take some before and after readings. The pest snail problem looks to be all over your rocks am I right? If they are I would find a solution to them because they can cause irritation and slowly kill off corals in their general area if they aren't flourishing. Small tanks with a large population of them will have a hard time growing sps because of all the webs. I think that could be your main issue. Yep, the buggers are everywhere - glass, overflow, even the cord of the circulation pump! Seriously considering a tank reboot because of them. Cant syphon the little sand bed I have without the rocks getting entirely covered in mucous nets. That said, the monti's exhibited the tissue thinning even when I placed them on the sand bed, away from any vermetids. As for the vinegar. I figured if it was some sort of pathogen, the extra carbon might be feeding it as well. Helping it to outcompete the beneficial stuff. Might start it again in future as almost all bacterial supplements recommend some form of carbon dosing. Man sorry about the snail population, they must be feeding on something though. Salanity should be good if your doing what you said. Oh I have a very good idea as to where I went wrong. Lol! Been over feeding the tank for a while and never knew these guys were such a pest until someone pointed them out. It’s been a strictly pellet and nori diet for my fish for months in an effort to reduce the vermetids food supply. No dice so far. As for the coral problems, I’m really leaning towards lack of iodine. I know the benefit of dosing iodine is a contested topic but I can’t ignore what I’m seeing. Came home today and one monti still looked terrible. Tested for iodine and it can up undetectable. Doses to raise iodine by .04 ppm. We will see how the corals look tomorrow. My problems were solved by dramatically upping my par. I thought it was around 200 until my LFS sent me home with their apogee. Turns out I was around 80. I also have been dosing a drop of lugols once a week. I’m kind of leaning towards the vermitid snails. You are doing everything else right. Their digestive web is really irritating to sps. And if you are totally infested, maybe the webs are too much for the corals or maybe there is enough of the web and its chemicals in the water that the sps just don’t or can’t tolerate it..
Can’t proces it properly and they die off..
but really, I go very seriously out of my way to keep those snails out of my system, they are no good. The vermitids are definitely a problem but I firmly believe the symptoms I was experiencing was due to lack or iodine in the system. Have been dosing iodide to get consistent measurable levels and have seen drastic results. Was the only thing I changed. Corals have recovered and I’m seeing growth which is great. Going to tackle the vermitids next. Following another thread on here and success with in tank treatments at these proportions seems slim to none at best. Will try the coral snow though as it can’t hurt. 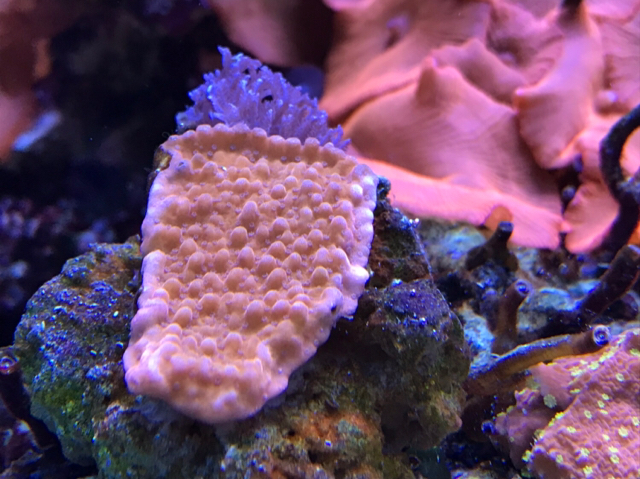 The pics previously posted really don’t do justice as to how poor the corals were doing, but here are some pictures from last week as a comparison. They certainly don’t look bad in those shots. Ive always been under the assumption that iodine, like iron is used up extremely quickly in the reef. Most often test result come back with low iodine unless you dose very regularly. That’s what I thought as well. Everything I read and everyone I spoke with said the same thing. I never would have thought it was lack of iodine in my system. The only reason I tired dosing was because I was at my wits end and it was the only deficiency from my ICP results. Looking back now I can see how I went wrong and I believe that it was a chronic deficiency of iodine. All starting with..... lack of water changes. It does kind of make sense that something getting depleted so quickly would need to be replenished or maintained via dosing or WC. I also dont think that the vermetids are as bad as they are made out to be. If you are referring to the in tank treatment methods thread i started, I dont believe we are going to find anything that is reef safe for absolute elimination. As far as the harmfulness of the snails themselves, I believe that if you have enough water velocity, then you should not have a v snail problem where your sps are. Someone on that other thread alluded to this and I have seen similar results in my tank. I have seen a lot of great tanks and followed them for a while, when one day I look at a picture and spot a vermetid snail. Then I go back through and notice that they have quite a few. This has happened on multiple occasions. 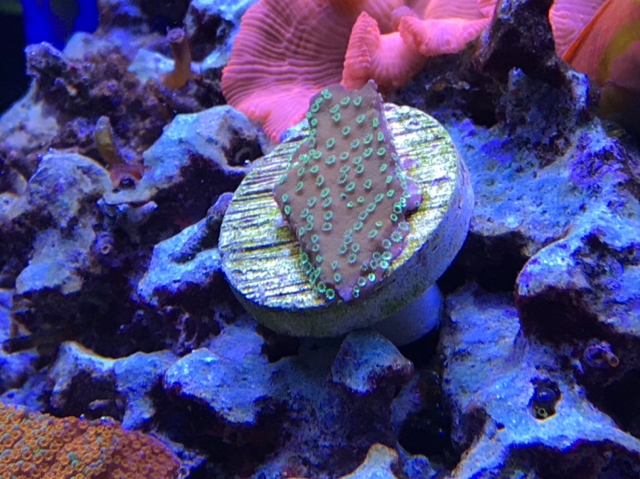 I had a frag from a very reputable high end vendor come in with a v snail on it. Doesnt appear to hurt his system much if at all. Don't get me wrong, I know they "can" be a real problem, and they are for sure annoying. I also have seen the articles on decreased coral growth where they prevail on natural reefs, but I dont think that is the whole story. If i were to do it over again, i would for sure try hard to keep them out, but now that i have them, I'm not going to risk my tank by adding something unless its 100% fleshed out as being safe. All of that to say if you plan on trying coral snow, which I actually am planning on as well for its water clarifying properties, there is a DIY version that is pennies on the dollar. It probably doesnt have all the same stuff, but same main ingredient which is likely the one we are after anyways. If you look up DIY coral snow, you should find the thread on another forum. Basically buy food grade calcium carbonate powder and mix with rodi. Also, great to see the iodine dosing appears to be working. Nice to see threads like this with success, and potentially answer some "mystery" stn events. If you are referring to the in tank treatment methods thread i started, I dont believe we are going to find anything that is reef safe for absolute elimination. That is the thread I'm referring to. It's a great read. As far as the harmfulness of the snails themselves, I believe that if you have enough water velocity, then you should not have a v snail problem where your sps are. Someone on that other thread alluded to this and I have seen similar results in my tank. From what I have seen I would have to agree. The only spot in my tank I don't have any v snails is directly in front of one powerhead. I could ramp up my pumps but would have to get rid of what little sand I have left. Would also have to get rid of my last LPS pieces as they definitely do not appreciate the higher flow. I was at the point of a complete teardown and rebuild (v snail infestation and iodine deficiency) but now that I'm actually seeing some results in my tank I think I will try less drastic approaches to tackling the v snail problem. 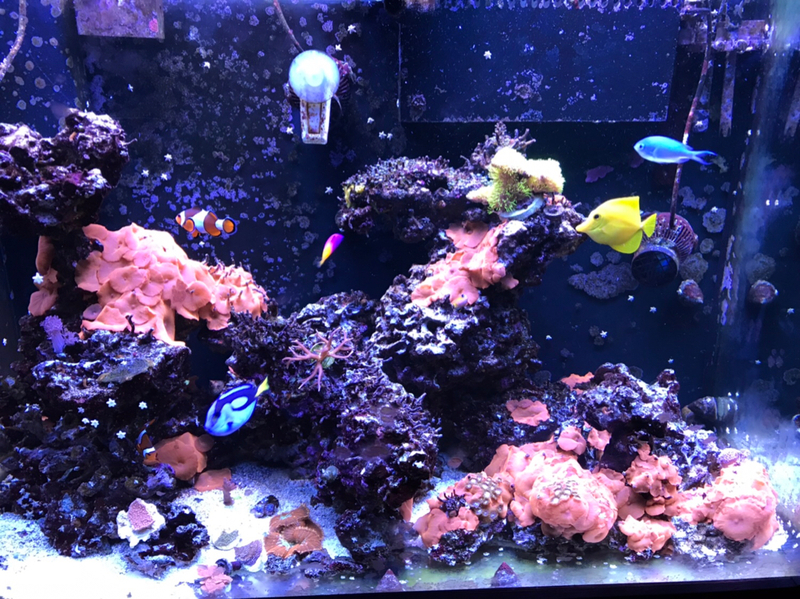 Coral snow (have a little of the blue bottle left but will definitely try the DIY formula), increased flow and slowly replacing badly infested rock with new, dry rock that has been curing in my sump. Perhaps I'll save that for your thread though. Thanks. I wanted to share my results in hopes that it could help a fellow reefer avoid the headaches that I went through. Because it was such a grey area when I looked into it (can't tell you how many people told me I had to be doing something else different) I was very careful to only change the iodine dosing. Not exactly super scientific but good enough for me.